I think the light show would be a little annoying when I am driving. I would love to test it the flare, I would start off by testing the basics such as how far the sound travels and how loud it can go up to. Also I will test how far away can the phone connect to the speaker. The I will test the waterproof by testing it in different levels of water and other environments. I would like to test the Flare. With 5 kids in my house between the ages of 14-22, it would be sure to get a wide variety of situations to be used in, from the basketball courts, to lacrosse fields, pools and trips to the beach. I would be interested in the LED functions to see how visible/useful they might be in the light of day as opposed to at night. I would also be very interested in the battery life as I have noticed that to be subpar in many other speakers my family has used. Id test the Motion Q on my weekly hikes. i run a hiking and tour business and we bring people to the mountains, visit waterfalls and sometimes we camp. This would ideal test conditions as we walk with a group usually spaced out (people walk at different pace) so the loudness of the speaker would be tested here. We visit waterfalls and go swimming so the waterproof aspect of it will get tested. while camping the battery life would be tested as the product page stated 10 hours of playtime. The durability will also be tested based on all the activities planned for the hike. i had a speak stop working after the clip broke and it fell off my bag into some plants. I would love to test the Flare. I think the best testing plan would be to take it to a pool party at my parent's house. Connect multiple types of devices (phones, tablets, Apple, Android, etc.) to see how well it worked with each. Crank it up while everyone is being loud and obnoxious to see how loud it could be and whether there was any sort of distortion. Play some "bassy" tunes to check out the low frequency range. Let it take a shallow dip in some water to test the water resistance. Ask all the party members around the pool if they can hear the speaker to test the 360 degree sound. Keep the party going into the night to check out the light show! I'd share the review on Amazon and on my social media pages. I'll look forward to checking out the Flare! Although I would love to test both speakers, I believe it would be more interesting to test the Motion Q. It’s portability is intriguing to me, and I would love to test how much power Anker could have packed into such a compact case. I would test the speaker not only with different genres of music, (to test things like the bass) but also in different locations, such as different rooms inside the house, in outdoor areas such as in a forest or down by the lake at the beach. Testing in different locations would enable me to see how the speaker can handle the noise present in each location. One final test I would perform is compare the sound quality of the Motion Q to other speakers, such as the Beats Pill, and the JBL Charge 2. I would post my review on my YouTube channel (Nicholas Mascioni) where I would create a very informative and creative video regarding the topic. This is my plan for reviewing the Anker Motion Q.
I live in the mojave desert in california. I would test out the motion Q and check its durabilty in the hot and muggy weather in the desert. I would want to check it out and see how it would fit in different kits that i have especially the one i carry around to entertain my kids. I would also test it at the pool multiple times per week. During the summer months we’re always going to the pool or camping. I wanted to check it’s portability as well as its ability to function and how the controls hold up over heavy usage. Thank you for the chance! I would love to test the Anker Flare. My kids are swimmers and they normally play music for the kids while working out hard in the pool. I am really intrigued how the Anker Flare will handle the sound quality and the waterproof capability of this speakers. I will be posting my review/test on social media like Youtube, Facebook, Twitter, etc. I think the more people can know about this the people I can help in terms of purchasing decision. I would love the opportunity to review the Soundcore FLARE. 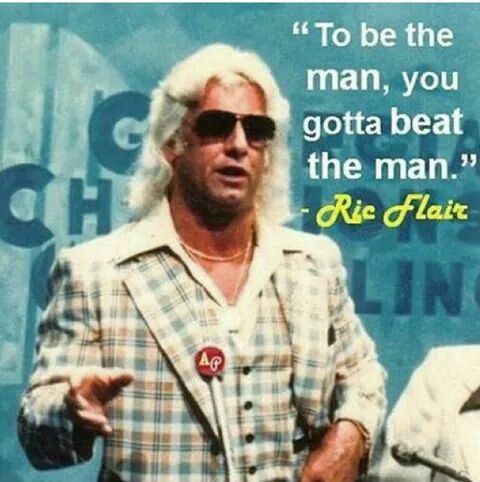 WOOOOOOOOO!!!!!!! The name is styling and profiling like my boy Ric Flair. This quote does this product and company justice. In all seriousness (well kinda). I have used many portable Bluetooth speakers in my time. From the Soundcore Mini, the Anker Premium Speaker (catchy name), Logitech X300 and the original (to me at least) Jawbone Jambox circa 2010. My plan is to compare all of them, from start to finish.I will review the entire process of pairing the speaker, to utilizing the app to change settings and colors. I will review the sound quality from smooth jazz to letting the beat DROP. My review will go on this forum, Amazon, shared on Twitter and maybe even a dance party review on YouTube. I might need a stipend for cool rap video props. Anyway, good luck to all and thank you for the consideration. My daughter and I are outside selling girl scout cookies every weekend (#2 seller in her council). We currently use a large speaker to play music to attract attention and are out rain or shine. We would love to test this in the elements and see if it can generate the same kind of sound, and customers, without having to transport the larger speaker. Live in Canada. Tested Anker products in the past. I actually have an audio engineering background so I can tell what sounds good and what doesn't. Testing plan (honestly majority of this plan can be applied to both): Test sound quality via Bluetooth as well as the auxiliary cable on different songs (hip hop or edm for lows and mids and rock, indie, classical, country, acoustic type for highs and balanced sound armature.) Testing the Bluetooth distance will be important so how far it can go before breaking up (do walls interfere heavily etc. ), Distortion on higher audio volumes (turn it ALL THE WAY UP). Test the supposed battery levels on low volume, medium and high volume. For the motion Q test the IPX7 waterproof rating. Test charging speed. Test device on multiple devices, cell phone, tablet, PC, mac. Test in multiple environment (inside, outside,when it's windy, etc.) Video will be taken with 1080P and using Blue Yeti microphone for audio quality. I would love to test the soundcore flare. I live in sunny Miami and would love to test this in both a poolside and beach side environment. I would be comparing my testing against the UE Boom speaker that I currently own as well as comparing next to a google home speaker as comparison devices. I will also be testing the bluetooth streaming will be tested with a Google Pixel 2 XL and an iPhone X.
I also plan to test its water resistance and battery life by timing the amount of usage before the speaker dies. If the flare is not available I would not mind testing the Motion Q. PLEASE PICK ME!!! I WOULD LOVE TO TEST. BIG ANKER FAN! Would love to test the Flare! To do testing, first I would put it through its paces with a frequency test, to see how well it handles highs and lows, and to see if it gets muddy in heavy bass tracks. Then I would try playing a variety of sources, from movies off an iPad, to music off my computer. I would also test out the waterproofing with a dunk test that hopefully goes well. I have reviewed the SoundCore previously, and still use it, so I will have a point of reference in terms of options from Anker. I'll also compare the Flare to various different speakers, including the Bose SoundTouch 300 + Acoustimass + Virtually Invisible set, just an iPhone speaker, or even my iMac internal speakers. In terms of review locations, I'll do as follows. First, take quality photos of the product, then write a comprehensive review on my personal website, and also include reviews on sites such as your own (Anker.com) once it appears, as that would be one of the first places potential buyers will look. However, I do have one question about these two products. How does one single unit handle stereo audio signals? Do they simply merge the two channels into one? I am aware of the stereo pairing, but I am wondering whether they feature any sort of room detection tech like that of the Apple HomePod. Flare for sure! I donated our Soundcore2 to my local YMCA to use during boot camp classes. The speaker is great, but limited by it's one sided output. To test the flare I'd use it in the gym to provide 360 sound around the room. Bluetooth allows us to set and forget the speaker while we sweat. And the light feature would provide a little pizzazz and motivation around the room to power us through the end. To finish up testing I'd have the instructors write testimonials and video their use in class to share via Instagram. I would love to test the flare! It’s larger size and led lights are super interesting and seem perfect for larger areas. I will bring it to different environments to test how it sounds with different ambient noise levels and interference for the Bluetooth connection. I will bring it with me to school and parties to see how different people react to it’s sound and see how they react to the price tag. I will use different devices to connect to it using Bluetooth and place it in different areas in my house to see how walls interfere with sound quality and test the range. And to test the waterproofness in my pool, slip and slide, and in different sized Tupperware. I will also listen to different music genres to test the bass and high pitches. I will post it to Facebook, Amazon, Twitter, instagram! I would love to test the Motion Q. This speaker looks perfect for my upcoming trip to the Dominican Republic where I will be lounging by the pool and beach. I plan to test it on the vacation by using it in the pool and hotel room. I would like to see how well it works paired with my Galaxy S8+, especially when the phone is in a waterproof pouch and not necessarily next to the speaker. I also plan to test the speaker around my house and in my backyard when I am grilling. I would like to see how it matches up to a few other bluetooth speakers I have. I plan to share my review on Amazon, twitter, and my facebook account. I would like to test the Motion Q. I have a national parks trip planned for June and would be a great way to test the sound/battery life. I would like to test the Flare. I would use it in different environments such as pool side, on the boat, in the shower, backyard during parties. I would test it against comparable speakers from Amazon. I would test different genres of music to see how well they sound. I would do video and written reviews and post to Facebook, Amazon,Twitter and Instagram. My plan to test this little beauty is to place it near the pool here in South Florida during all summer long. Sound Quality: I'll have the opportunity to test it both in silent moments (relaxing at the pool) but also in an insanely noisy situation, when I expect the pool to be full of kids.